Do Gummy Vitamins Actually Work? I hate taking pills. I can't handle taking capsules because they always end up giving me heartburn. So when I found out that I could take vitamins in the form of a sweet gummy, I cheered in the middle of the pharmacy. Today every vitamin imaginable comes in a gummy form. Multi-vitamins, vitamins to grow your hair, vitamins to help you focus, even prenatal vitamins. They all taste like little candies and are the perfect way to start your morning. But do they actually work? Will eating these gummies actually give you the same vitamins as one you could take in the form of a pill? According to Nutritional Output, adults are eating up 80% of the gummy vitamin market. This is most likely due to pill fatigue which has been outlined by AARP in a 2005 study that the average American adult over the age of 45 takes four prescription pills daily. Changing out a gummy for a pill is a simple switch and makes you feel less like you are lining up for your daily meds from Nurse Ratchet. However, it seems that eating a gummy vitamin isn't a surefire way to make sure you are getting all the vitamins your body needs. Dr. Tod Cooperman, president of ConsumerLab.com, shared that "It's a lot harder to make a good gummy than it is to make a tablet or capsule." According to a survey the website conducted in 2017, four out of five gummy vitamin products contained more or less than their listed amounts of ingredients. In fact, they were the biggest group to most likely fail testing. Most gummy multivitamins contain vitamin A, vitamin C, Vitamin D, Vitamin E, vitamin B-6, and biotin. A lot of companies spray the outside of their gummies with a vitamin coating, which can easily rub off the vitamin supplements, making it hard for companies to test if their adult gummies have enough nutrients. Most gummies are not regulated by the Food and Drug Administration (FDA) making it pretty easy for each company to differ. So you have to ask the question: do gummy vitamins work just as well as other dietary supplements? While gummy supplements are easy to incorporate into your daily routine, they are not giving you all the essential nutrients that should be in supplements. Most (if not all) gummy vitamins disregard adding iron due to taste, however, most women under menopausal age should be taking iron, especially if they are pregnant. For that alone, skip the gummy and go for a multivitamin tablet. In a perfect world, a balanced diet would be enough, but the bottom line is that most adults need to take a supplement. Hate taking pills? 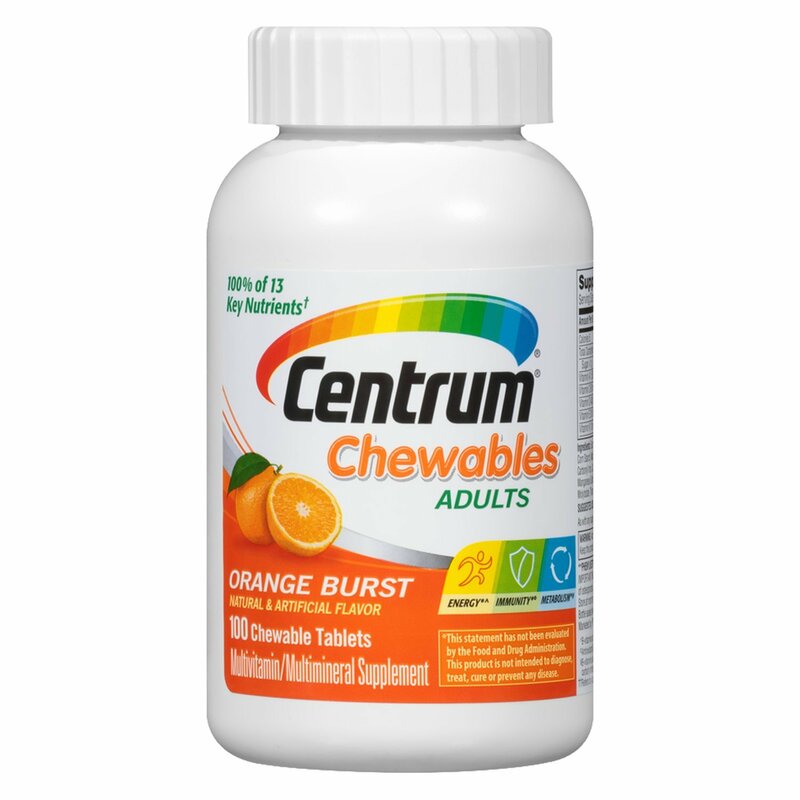 Try taking chewable tablets. Speak with a doctor before taking supplements.